you're ready for transfer-level! With additional support and self-confidence, you will be successful. 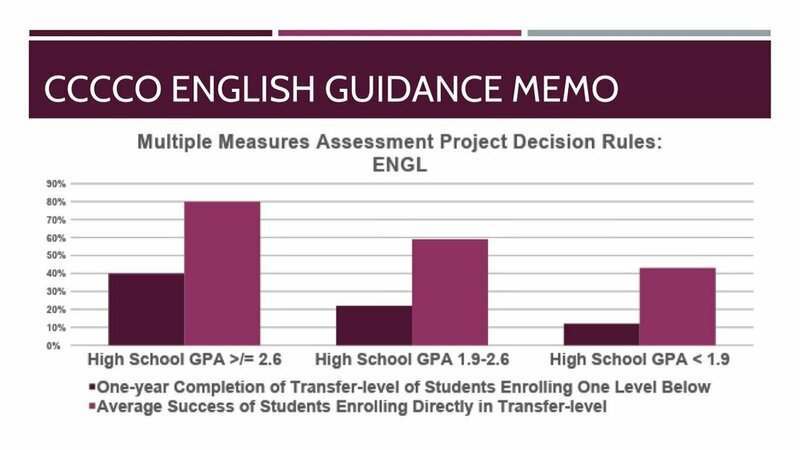 It might be hard to believe at first, but studies have found the students like you are statistically more likely to succeed in transfer-level English. Students with a High School GPA below 1.9 should seek additional academic support should to improve your likelihood of success. We know that it's hard to find confidence when you have struggled in the past, but evidence shows that you are still better off entering into transfer-level English and getting the support you need to do well there, than placing into a lower level course where you have a 90% chance (or more) of failing. To find out more about registering for a transfer-level English class, click the button below to prepare to meet with a counselor. To check your Math placement, click the button below.